Redwood Lumber & Supply Company, LLC, provides the finest quality redwood siding, redwood timbers and redwood boards. 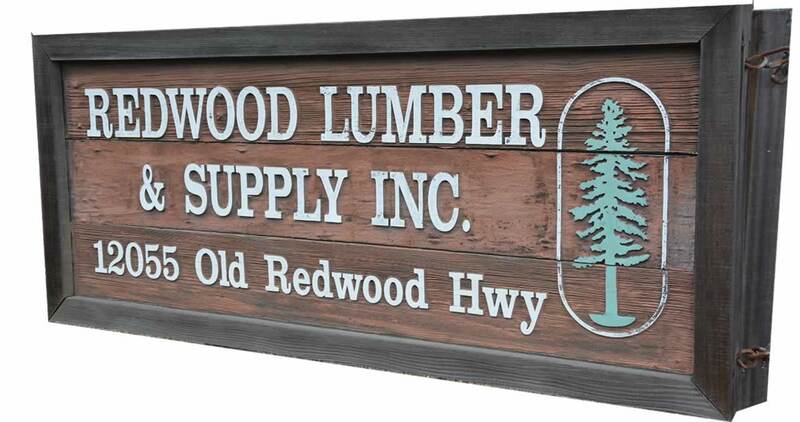 We're pleased to be your source for premium redwood lumber products. Our focus on excellent service is unsurpassed. At our 20-acre manufacturing facility we carry a multi-million board-foot inventory of dry redwood siding, redwood decking and redwood beams, which allows us to prepare most redwood orders—including custom redwood siding patterns—within two weeks from the date of order. Orders are often ready sooner. Whether you order a few redwood beams, redwood boards or redwood timbers or a truckload of redwood, our knowledgeable staff works hard to get you the highest possible quality—and that you receive your redwood lumber on time, as promised. Call us at 800.435.1236 or 415.492.0500 with a description of your redwood needs and we'll respond promptly with a redwood price quote. Our highly sought-after redwood lumber products sell almost anywhere! Our redwood siding, redwood decking, redwood beams and redwood boards regularly ship throughout the contiguous United States. On a smaller scale, we ship premium redwood lumber products to several Asian and European markets.